Confetti Master has established itself as a leading supplier of confetti cannons in the UK. 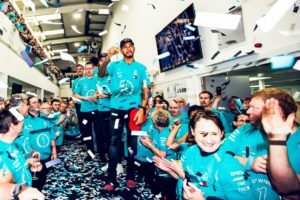 Over the last 10 years we have advised and supplied confetti cannons to individuals and companies including the BBC, Mercedes F1, Disney, ITV and The Royal Opera. We can help you decide on the best option for your event or occasion, from a small school production, a family gathering, a wedding, TV show, all the way up to a large stadium concert or big sporting event. Our business splits into two different services, handheld confetti cannons to purchase online, or larger professional confetti cannons to hire with an operator. It’s always important that a confetti cannon works! Our professional handheld confetti cannons are extremely reliable and have become very popular when it really matters. Our cannons are used for lots of gender reveals, weddings and many times on live TV. Another popular feature of our handheld cannons is the option to choose the colour(s) of confetti that is loaded into each cannon. There are 1000’s of colour combinations. We can match the confetti for any brand, theme or lighting design. They are very versatile and a great option for smaller or mid-sized events. For bigger events we have built up a large collection of confetti equipment for hire. This equipment is designed to fill much larger venues, either with a continuous cloud of confetti or as one big single blast! We always send out a trained operator with our larger cannons, who can advise on the best placement to get the effect you want. We are always happy to help so please don’t hesitate to get in touch! Confetti Master is a professional specialist confetti effects company; we provide elegant and dramatic confetti effects for all kind of events. We can supply anything from a one shot 30cm confetti cannon up to a massive liquid Co2 continuous flow blaster. We try and identify exactly what the client is trying to achieve and use various type of confetti equipment to create their vision. We also sell confetti. Confetti Master has been established for over 10 years and in this time we have collected many interesting pieces of equipment (not just confetti cannons). This now includes T-shirt Cannons, Snow Machines, UV confetti (it really does glow in the dark) and massive balloons.